“Google chairman Eric Schmidt was on a diplomacy mission last week, reaching out to broadcasters in the UK and urging them to embrace changes in the way that viewers watch TV, as enabled by the Internet. Giving the MacTaggart Lecture at the Edinburgh International Television Festival, Schmidt provided a view into how TV is changing and made a plea for broadcasters to work with the search giant to enable that future. Reading the transcript or watching a video of the lecture (Schmidt’s speech starts about 36 minutes in), you get the feeling that this is no less than a manifesto, not just on the way things will be but also on the way they should be. There’s a feeling of inevitability to it. The message to broadcasters, in light of this, seems to be that they can either get on board with technological change or risk being left behind. 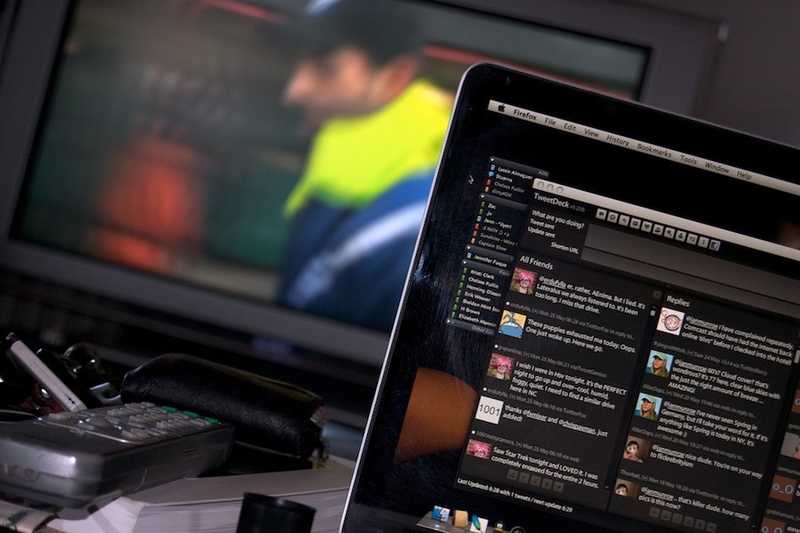 While TV programming is limited by time and the number of TV networks, the Internet provides the possibility of a near-infinite amount of content to choose from. And, given the on-demand way that viewers are increasingly viewing content — through prerecorded shows on their DVRs, video-on-demand selections through their cable provider or streaming on the Internet — there needs to be a way to sort through those content choices. Online, through a combination of algorithms and editorial nudges, suggestions could be individually crafted to suit your interests and needs. The more you watch and share, the more chances the system has to learn, and the better its predictions get. Taken to the ultimate, it would be like the perfect TV channel: always exciting, always relevant — sometimes serendipitous — always worth your time. Schmidt cites the success of Netflix, which doesn’t have a lot of new content and yet has survived and even flourished through a robust recommendations engine. According to Schmidt, around 60 percent of Netflix views are a result of Netflix’s personalized recommendations, showing that the one-size-fits-all approach to linear TV programming might not be the best way to reach audiences in the future. While viewing is destined to become more personal, it’s also becoming more social. That might seem like a bit of a paradox, but at the same time that viewers are watching content that is more relevant to them, they are also sharing what they’re viewing with others. This interactivity is not being driven by the TV screen itself but through second screens that viewers are using while watching TV. That includes tapping into social networks on laptops and on mobile phones, commenting on blogs and forums, and even chatting with friends in real time. Schmidt pointed to Google+ Hangouts as one example of how viewers can socially interact while watching video together, and you can see how the same type of technology could be incorporated into future versions of Google TV devices for live video viewing. Broadcasters can benefit not only from the way the Internet allows viewers to discover and interact with content but also from vast new opportunities for monetization. That includes selling directly to viewers through digital downloads or the ability to more profitably sell ads against content. Note also that this shift means a change in the way that viewing and ad effectiveness is measured. Nielsen, which provides the ratings currency that is used for selling TV ads in the U.S., is investing heavily in multiscreen measurement, but Schmidt said that Google is trying to understand how to measure effectiveness across multiple platforms as well. Will broadcasters get on board? There’s no doubt that the TV industry is in the midst of some fundamental shifts in the way viewers find and interact with video content. And there’s a huge opportunity for broadcasters to use Internet technologies to enable new experiences and better reach a more engaged audience. Schmidt gave many examples of how content industries fought change over the past century, from newspapers fighting with radio stations in the 1920s and ’30s to Hollywood and broadcasters arguing that technologies like the VCR and TiVo would destroy their businesses. Although TV viewing will inevitably change as the Internet enables new habits, Schmidt argues that broadcasters should see the opportunity and not the danger that such a change brings. “History shows that in the face of new technology, those who adapt their business models don’t just survive, they prosper,” Schmidt said. Social network use passes 50 percent mark in U.S.
Half of all adults in the United States are now using social networking sites, another indication of the rising influence of companies like Facebook, according to a study released Friday. Overall, 65 percent of all adult Internet users are on sites like Facebook or LinkedIn, more than double the 29 percent who used social networks in 2008, according to the Pew Research Center report. But Pew said that for the first time since it has conducted the survey, 50 percent of all adults – including those who aren’t Web connected – had used social networking. The center’s Internet & American Life Project report, based on interviews with 2,277 adults from April 26 to May 22, found social networking was most popular with women and young adults. However, adults older than 30 accounted for most of the overall growth in the past year. Of adults 65 and older, 33 percent used social networking, compared with 26 percent a year ago. While the percentage of young adults who were daily social networking users stayed about the same, the percentage of Baby Boomers who did so daily rose 60 percent in the past year. Steve Jobs, Apple’s iconic co-founder and the visionary behind many of its best-selling products, resigned as CEO on Wednesday, saying he could no longer fulfill his duties. Jobs, who underwent surgery for pancreatic cancer in 2004 and had a liver transplant in 2009, has been on medical leave from Apple since January. His resignation raised new fears that his health may have worsened. After Jobs submitted his resignation, Apple’s directors elected him to the board and made him chairman. Tim Cook, the company’s chief operating officer and its interim leader since January, was named CEO. As evidence of Jobs’ perceived value to the company, Apple stock dropped 5 percent in after-hours trading, to $357.10. Founded in 1976 in Cupertino by Jobs and Steve Wozniak, Apple helped spur the rise of personal computing with its Apple II and Macintosh computers. After being ousted from the company in 1985, Jobs returned to a near-bankrupt Apple in 1997 and spearheaded the creation of blockbuster devices like the iPod, iPhone and iPad. Along the way, Jobs became a figure in popular culture, sought after for his insights into consumer desires and a marketing savvy that made him an unofficial evangelist of the digital age. A noted perfectionist, he is credited with having an impeccable sense of design, leading to products that have inspired devotion among users and generated hundreds of billions of dollars in revenue for the company. As a result, Apple has become the rare company to successfully reinvent itself multiple times. Roughly two-thirds of the company’s profits now come from devices that didn’t exist five years ago. This summer, for the first time, Apple briefly surpassed Exxon Mobil to become the world’s most valuable company. It is currently No. 2. Analysts said that few changes in Apple’s business will be evident right away. During his most recent medical leave, Jobs has continued to make appearances at Apple events. In March he took the stage at the Yerba Buena Center for the Arts to unveil the iPad 2, and in June he appeared at Apple’s Worldwide Developers Conference at Moscone Center to announce the coming iCloud service. “In his new role as chairman of the board, Steve will continue to serve Apple with his unique insights, creativity and inspiration,” said Apple board member Art Levinson, chairman of Genentech, in a statement. Still, questions linger about Apple’s long-term success. Sachin Agarwal, who worked at Apple as a developer for video-editing software Final Cut Pro from 2002 to 2008, said one of Jobs’ greatest assets was his willingness to say no – to delay or even abandon products that failed to meet his exacting standards. Agarwal, who has since created the blogging and publishing platform Posterous, said friends at Apple have expressed concerns about the company’s future. The attention now shifts to Cook, 50, who joined Apple in 1998. The Alabama native, who had previously worked at Compaq, quickly gained a reputation for being an operational genius – ensuring that the company made only as many products as it could sell, which made its supply chain the envy of the industry. Jobs also struck an optimistic note. Hewlett-Packard Co. (HPQ) is following the lead of rival International Business Machine Corp. (IBM) in possibly shedding its personal-computer business and focusing more on higher-margin operations like analytic software–but the transition is not likely to be easy. H-P is significantly farther behind in the software market than IBM was when the Armonk, N.Y., company sold its computer business to Lenovo Group Ltd. (LNVGY, 0992.HK) in 2005. And since then, the value of PC assets has declined, meaning the world’s biggest computer maker may not get the cash boost needed to catch up with the software leaders ahead of it. For IBM, its move last decade has worked out well. While other tech companies have seen volatility from their consumer exposure, IBM has posted consistent results, even during the depths of the recession. The company last month boosted it outlook for the year, helping send shares to an all-time high. H-P is taking a big step Thursday by agreeing to buy U.K. data-analytics firm Autonomy Corp. (AUTNY AU.LN) for more than $10 billion. Analytics software, a fast-growing area, helps companies sift through massive amounts of information to solve business problems or make predictions. “It’s the beginning of the transformation of H-P today,” Chief Executive Leo Apotheker said. IBM has focused on analytic software for a while. Among the company’s dozens of acquisitions over the past five years, IBM has spent $14 billion on 24 analytics-related purchases. IBM expects the market for analytics to be over $200 billion by 2015, of which it sees getting about $16 billion. Transitioning out of one big business and into another takes time and money. Since 2001, IBM has bought more than 127 companies for a combined total of $33 billion. Those earlier acquisitions helped to give IBM a strong software business–second only to Microsoft Corp. (MSFT)–when it sold the PC operations. As a result, in IBM’s recently reported quarter, the company had software revenue of $6.2 billion, 23% of its total revenue. In comparison, H-P Thursday reported quarterly software revenue of $780 million, 2.5% of its total revenue. IBM decided to get out of the PC market because the company viewed it as a commoditized industry where companies can only compete on price. Chief Executive Sam Palmisano said last year during an interview with the Wall Street Journal that he wouldn’t be able to give away IBM’s PC business today. During the same interview, he also criticized H-P, saying he’s not worried about a company that no longer invests in innovation. About 6% of IBM’s 2010 revenue went to research and development, compared to only about 2% at H-P.
H-P has said in recent months that it’s increasing its research spending. Meanwhile, Mark Dean–one of the creators of the first IBM PC–said in a blog post last week that the PC age is essentially over, going the way of the typewriter and incandescent lightbulb. “While many in the tech industry questioned IBM’s decision to exit the business at the time, it’s now clear that our company was in the vanguard of the post-PC era,” said Dean, who currently serves as chief technology officer of IBM Middle East and Africa. Article from Fenwick & West. For additional information about this report please contact Barry Kramer at 650-335-7278; bkramer@fenwick.com or Michael Patrick at 650-335-7273; mpatrick@fenwick.com at Fenwick & West. Background —We analyzed the terms of venture financings for 117 companies headquartered in Silicon Valley that reported raising money in the second quarter of 2011. Up rounds exceeded down rounds in 2Q11 61% to 25%, with 14% of rounds flat. Although this was a slight decline from 1Q11, when up rounds exceeded down rounds 67% to 16%, with 17% of rounds flat, it was still a very healthy performance. This was the eighth quarter in a row in which up rounds exceeded down rounds. The Fenwick & West Venture Capital Barometer showed an average price increase of 71% in 2Q11, up from the 52% increase registered in 1Q11. This was the best barometer result since 2007, and was also the eighth quarter in a row in which the Barometer was positive. The results by industry are set forth below. In general, software and internet/digital media industries had the best valuation-related results by a substantial amount in 2Q11, followed by the hardware and cleantech industries, while the life science industry continued to lag. The second quarter of 2011 was generally a strong quarter for the venture capital industry, with the most notable result being an improved IPO market. The amount invested by venture capitalists in 2Q11 was also solid. Fundraising by venture capitalists showed a significant decline from the very strong 1Q11 results, but was still reasonable in dollar terms. Merger and acquisition activity was somewhat lower, perhaps as participants sought to understand the effect of the stronger IPO market. However there are some clouds on the horizon, as the Silicon Valley Venture Capital Confidence Index declined for only the second time in 11 quarters, Nasdaq has had a very poor 3Q11 to date, there are reports of a number of IPOs being recently postponed and the world financial environment is undergoing substantial turbulence. Venture Capital Investment. Venture capitalists (including corporation affiliated venture groups) invested $8.0 billion in 776 deals in the U.S. in 2Q11, a 20% increase in dollars over the $6.4 billion invested in 661 deals reported for 1Q11 in April 2011, according to Dow Jones VentureSource (“VentureSource”). VentureSource also reported that $2.9 billion of such amount, or 36%, was invested in Silicon Valley-based companies. Similarly, the PwC/NVCA MoneyTree™ Report based on data from Thomson Reuters (the “MoneyTree Report”) reported that venture capitalists invested $7.5 billion in 966 deals in 2Q11, a 27% increase in dollars over the $5.9 billion invested in 736 deals reported in April 2011 for 1Q11. The MoneyTree Report noted that investments in internet companies was at its highest quarterly level since 2001. Merger and Acquisition Activity. Acquisitions of U.S. venture-backed companies in 2Q11 totaled $9.5 billion in 95 deals, a slight decrease from the $9.8 billion in 104 deals reported in April 2011 for 1Q11, according to VentureSource. Of the 2Q11 deals, 8 were private/private transactions, perhaps indicating a growing acquisition ability and interest of later stage private companies. Thomson Reuters and the National Venture Capital Association (“Thompson/NVCA”) also reported a decrease in M&A transactions, from 109 in 1Q11 (as reported in April 2011) to 79 in 2Q11. Of the 79 reported transactions in 2Q11, 56 were in the IT industry, but the largest was in the pharmaceutical industry where Daiichi Sankyo bought Berkeley-based Plexxikon for $805 million. Initial Public Offerings. VentureSource reported that 14 venture-backed companies went public in 2Q11, raising $1.7 billion, a noticeable increase from the 11 IPOs raising $700 million reported in 1Q11. Thompson/NVCA reported that 22 venture-backed companies went public in the U.S. in 2Q11, raising $5.5 billion, a substantial increase over the 14 IPOs raising $1.4 billion reported in 1Q11. Of the 22 IPOs, 14 were based in the U.S. and 5 in China, and 14 were in the IT industry with 11 of those being internet focused. The largest of the IPOs was Russian-based Yandex raising $1.3 billion. At the end of 2Q11 46 U.S. venture-backed companies were in registration to go public, similar to the 45 in registration at the end of 1Q11. Venture Capital Fundraising. Thompson/NVCA reported that 37 venture funds raised $2.7 billion in 2Q11, a significant decline from the $7.6 billion raised by 42 funds in 1Q11. However, 1Q11 was the highest first quarter for fundraising since 2001, and 2Q11 was 28% higher (in dollars) than 2Q10. Also the first half of 2011 saw 67% more funds raised than the first half of 2Q10, but a 15% decrease in the number of venture funds closing fundings. VentureSource provided consistent results, reporting that U.S. venture funds raised $8.1 billion in the first half of 2011, a 20% increase in dollars over the first half of 2010. VentureSource noted that only 7 funds raised 77% of the $8.1 billion. Venture Capital Returns. According to the Cambridge Associates U.S. Venture Capital Index® U.S. venture capital funds achieved an 18.5% return for the 12-month period ending 1Q11, slightly higher than the Nasdaq return of 16% (not including any dividends) during that period. Note that this information is reported with a one-quarter delay. Sentiment. The Silicon Valley Venture Capital Confidence Index produced by Professor Mark Cannice at the University of San Francisco reported that the confidence level of Silicon Valley venture capitalists was 3.66 on a 5 point scale, a decrease from the 3.91 result reported for 1Q11. Venture capitalists expressed concerns due to macroeconomic trends, high venture valuations, uneven capital availability and life science regulatory constraints. Nasdaq. Nasdaq increased 1% in 2Q11, but has decreased 9% in 3Q11 through August 15, 2011. Is the Google deal about Larry Pages’ desire to become the best strategist in the world? By Tony Fish, AMF Ventures and member of Gerbsman Partners Board Of Intellectual Partners. This deal will be the discussion point for the next 3 months and already there are a lot of views circulating about what it means but there is no doubt that depending on your stance you can argue for change. However at Mobile 2 on 1st Sept in SFO – we get the first bite, why not join in. Porter 5 forces model is helpful here as it highlights the dynamic nature of the mobile market that Google faces. Their power is low, their service fragmented and they are being attacked. Starting from the view of the world formed by …. Operators – Deal does not change anything as we are the controllers of mobile – we keep all manufacturers below 30% market share and make sure it is a competitive supply market. However, we are still worried about becoming bit pipe…. Oracle/ Sun/ Java – Defence needed as android has been beset with legal challenges from all sides, including a multibillion dollar lawsuit filed by Oracle, but Motorola patents are about wireless tech and unlikely to help. Microsoft/ Nokia – Attention is off us – heads down lads and deliver. Worth reading the pervious insights on MSFT/ Nokia deal and how to befriend the operators. Apple – By purchasing a manufacturer, Google has admitted it needs more than just a free operating system and loads of partners to compete with Apple: they need to duplicate Apple’s successes by totally controlling both the hardware and software of their devices. Developers – At least there is one less system to deal with. The production shop – In this scenario Google keeps Motorola as is and starts to manufacture it owns handsets. In reality this could provide short term stability to the fragmented andriod market place and show case devices and move into other screen based markets, but in the long run looks like a new Apple and being open is probably not a true option. Probability in long run 10% as this would not elevate Page to world class strategist who is just following Jobs view of the world. The negotiator tactic –This is the company official line that the acquisition brings 17,000 patents (but are they relevant) to Google and enables them to robustly defend their mobile position and also expand. It is a $12.5bn investment to get a seat at the table. Strategically there is a lot of truth in this as mobile will dominate long term strategy and value. Probability in long run 25% as patents only last for a period…. Probability in long run 65% and Larry Page is now the best strategist in the world and did it without adult supervision.